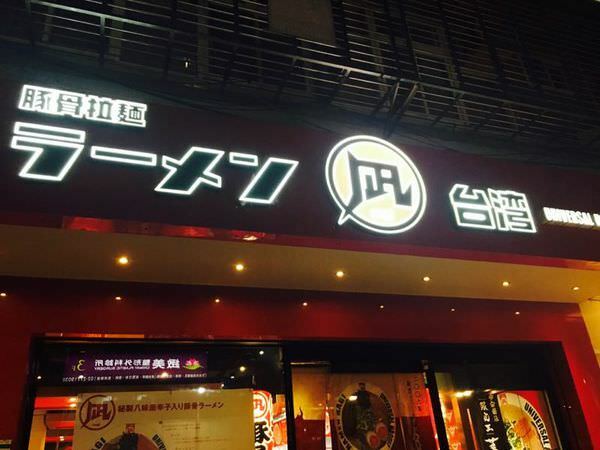 台北已經越開越多日本拉麵海外分店, 有一幻拉麵 ,麵屋武藏 ,鬼金棒..etc, 通常能在台灣長期持續客源的拉麵店(例如凪豚王拉麵）都是會依台灣人喜歡的口味來稍微修改配方,台灣人通常是較喜歡麵較軟且湯頭不過於濃厚. 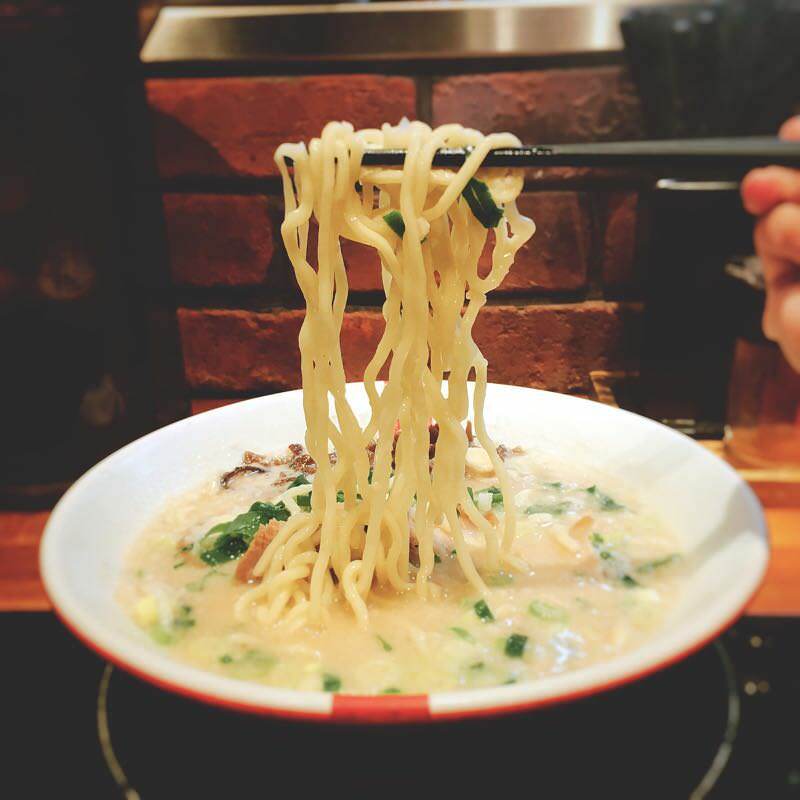 There are many Japanese Ramen oversea branches (such as Ebisoba Ichigen Ramen) opening up at Taipei City. 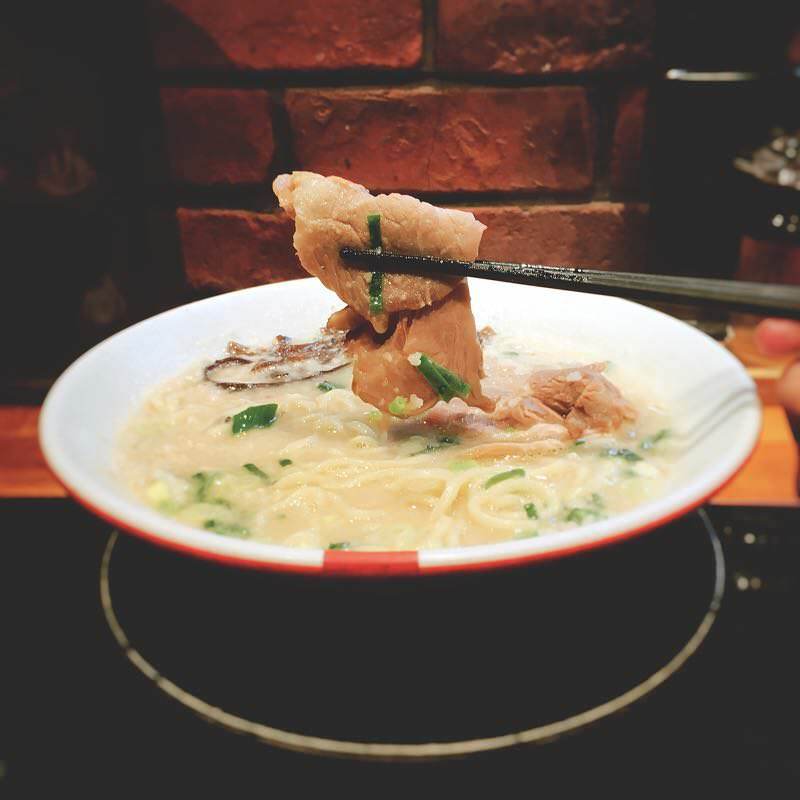 Taiwanese usually like the noodle to be soft and not-so-thick soup base with a hint of salt. 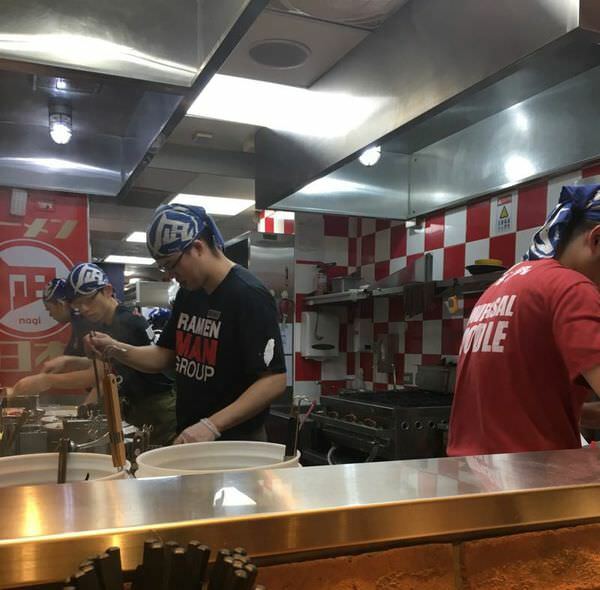 Nagi Ramen successfully pulled of their adjust recipes and becomes one of the well-known Ramen restaurants in Taipei East District. 日本拉麵湯頭通常分三種原料去熬煮- 豬肉或蝦或雞, 凪豚王拉麵湯頭則是用豬大骨去熬煮出奶油色且濃厚帶有膠原蛋白, 如果想吃瘦肉,建議脂肪較少的豬肩肉, 而不是像麵屋武藏的豬楠肉. 麵跟肉煮的不會過軟 .黑木耳和蔥配菜讓這碗麵更加分. 基本上這碗原味豚王對我來說有點單調. 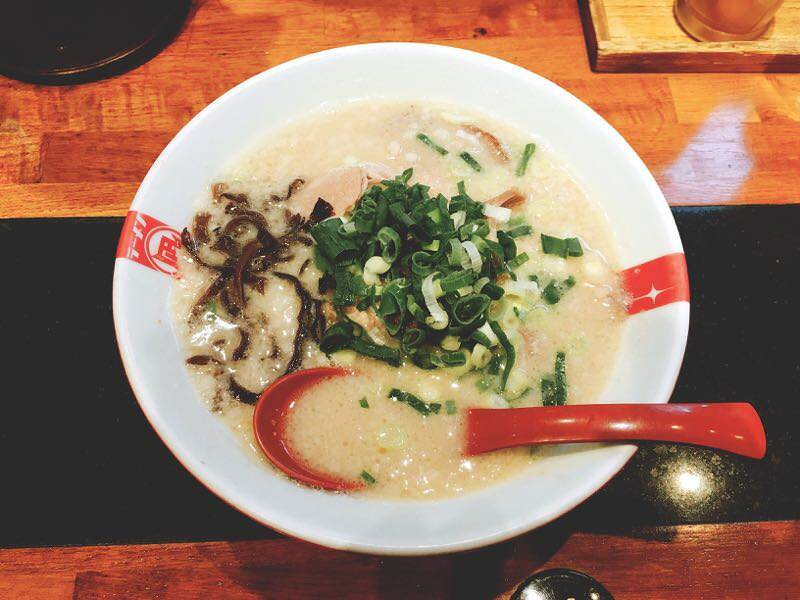 There are three major types of Ramen soup base in Japan – Pork based, Shrimp based and Chicken Based. Nagi Ramen soup base is boiled with pork bones for hours. The appearance of its soup is creamy white with thick meaty aroma. Choosing pork blade shoulder instead of pork belly if you don’t like too many fat in your port meat. Both sliced meats and noodles was cooked tenderly and with green onion and black fungus as garish. 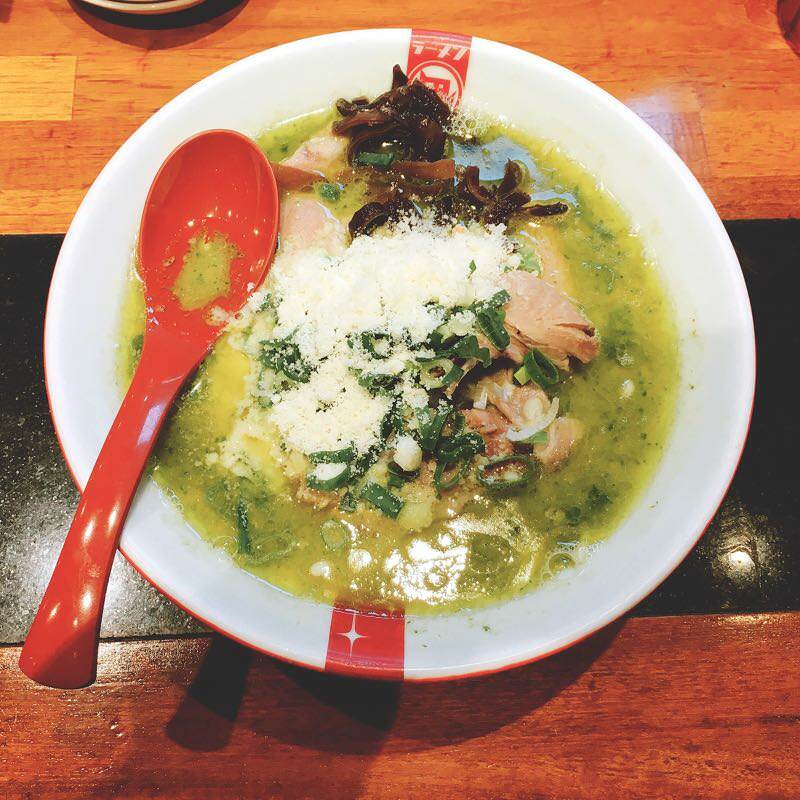 Unlike other Ramen restaurants, it doesn’t come with egg, you would need to order egg for extra NTD$30. Generally speaking, this dish tastes a bit boring considering its price. 濃厚的豬骨湯底完全被橄欖油, 羅勒, 起士粉和多種蔬菜精華覆蓋著. 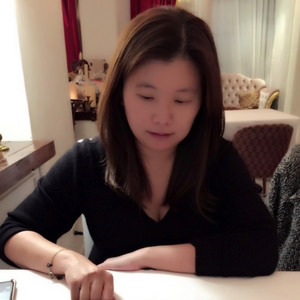 當享用第一口湯時 ,橄欖油香味直衝味蕾, 這就是一個中西合併的概念 ,除翠王之外, 也有赤王(辣味) 和 黑王 ( 芝麻口味加墨魚汁)等選項, 若不喜歡這種所謂的”Fusion Style”, 建議還是選擇原味豚王. The meaty soup aroma was covered with olive oil, basil, cheese and various vegetables essence. Instead, olive oil flavor comes out when you taste the first sip. Magically, it becomes the “Fushion Style” . There are other styles, such as Red King (Spicy Flavor), Black King (Sesame Flavor with Squid Ink). For people who doesn’t like Fusion style, I would suggest you order the “Original King”.